There’s something vaguely embarrassing about the whole debate about food shortages taking place in Venezuela these days. 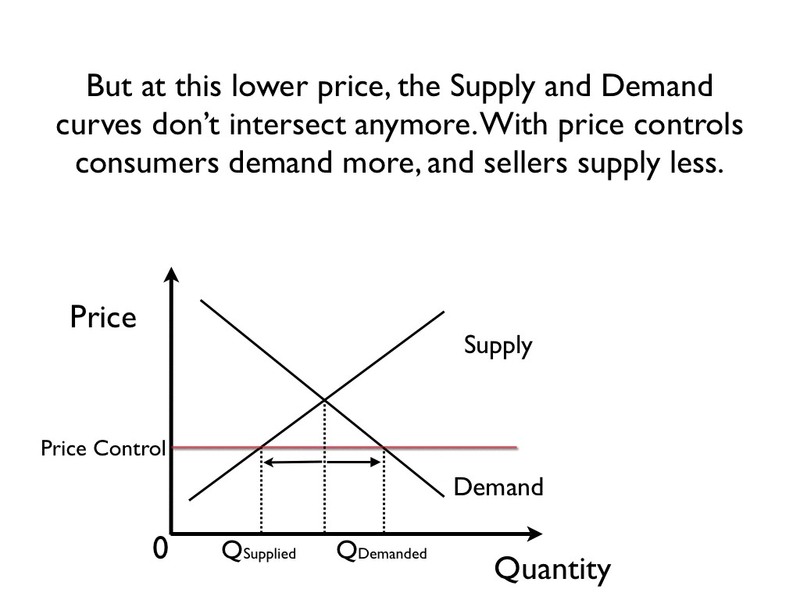 Because, really, there’s nothing to debate: the way price controls lead to shortages is one of the best understood phenomena in all of economics. 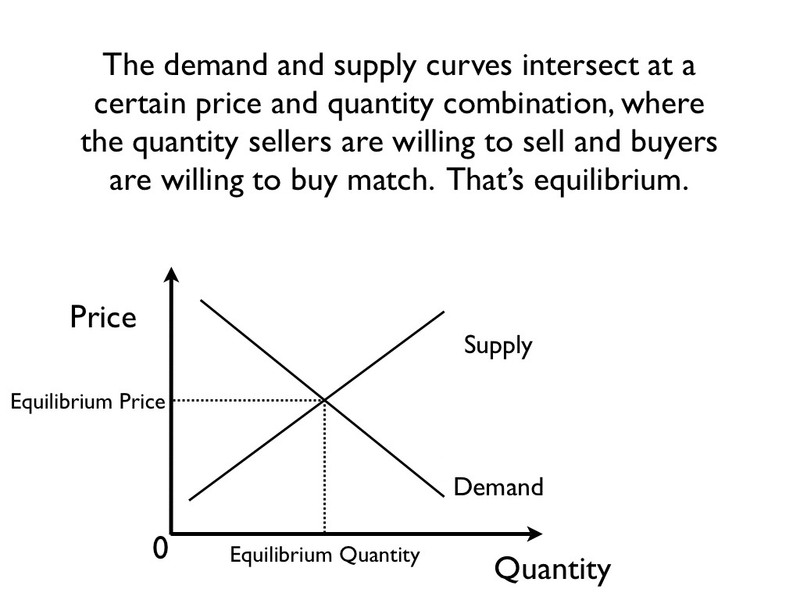 This is the kind of stuff undergraduates learn within the first week of their first microeconomics course. 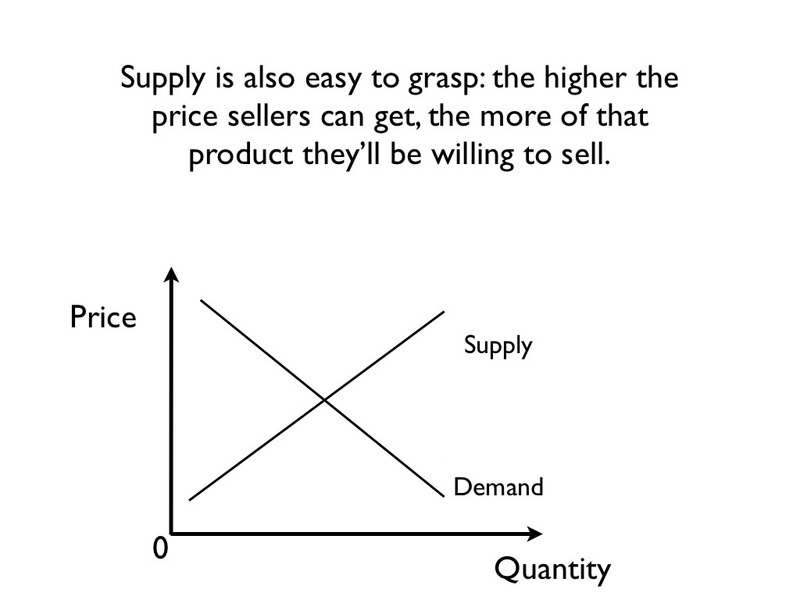 All you need is a very basic grasp of supply and demand: concepts rooted in the sort of “well, duh!” economic common sense that you really can’t refute without arguing obvious absurdities. If you haven’t had the pleasure of a formal course in economics, no worries! Now, away from the ideological echo-chamber of Venezuela state media, virtually no one disputes this. We’re dealing with utterly platitudinous, aggressively uncontroversial stuff here. It isn’t really a line of reasoning you can refute. I mean, you could refute it, but you’d have to change the slope on the curves. Put simply, to refute this you’d have to somehow argue that the higher the price of something, the more of it consumers will want to buy. 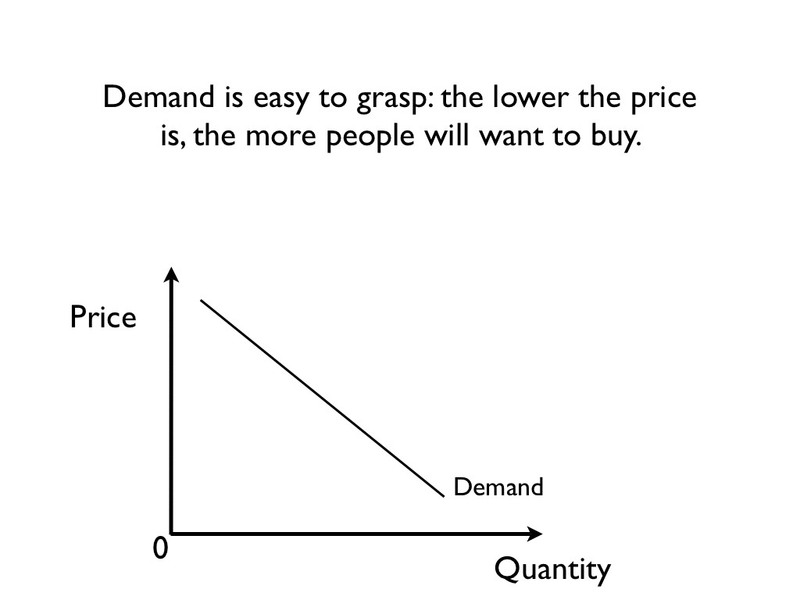 Or, alternatively, that the lower the price of something, the more of it producers will want to sell. I’ll buy that the minute you show me a store running a 1-for-the-price-of-2 sale. It boggles the mind that we have a government that can’t wrap its mind around these six slides. 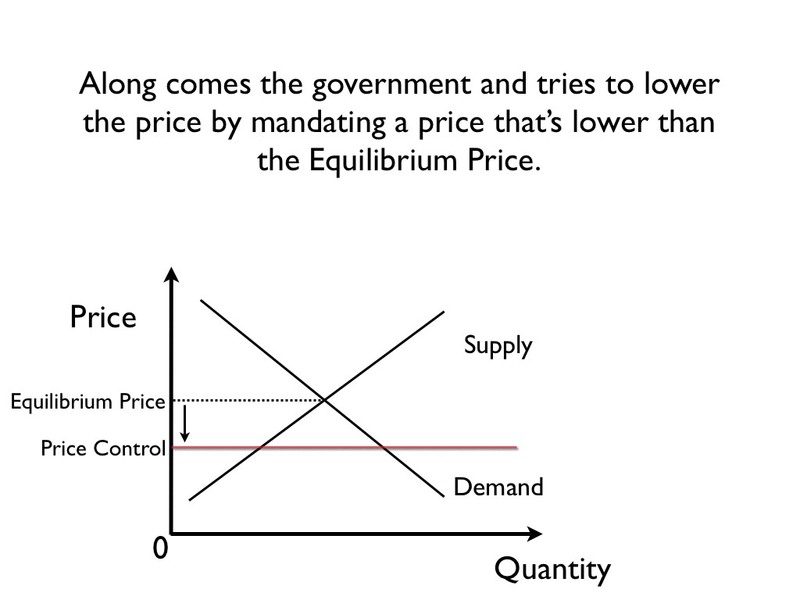 A government so primitive that it thinks it can legislate away scarcity is a government that has elevated its contempt for common sense to the level of official ideology. Nor will this problem be alleviated by nationalizing the food sector. 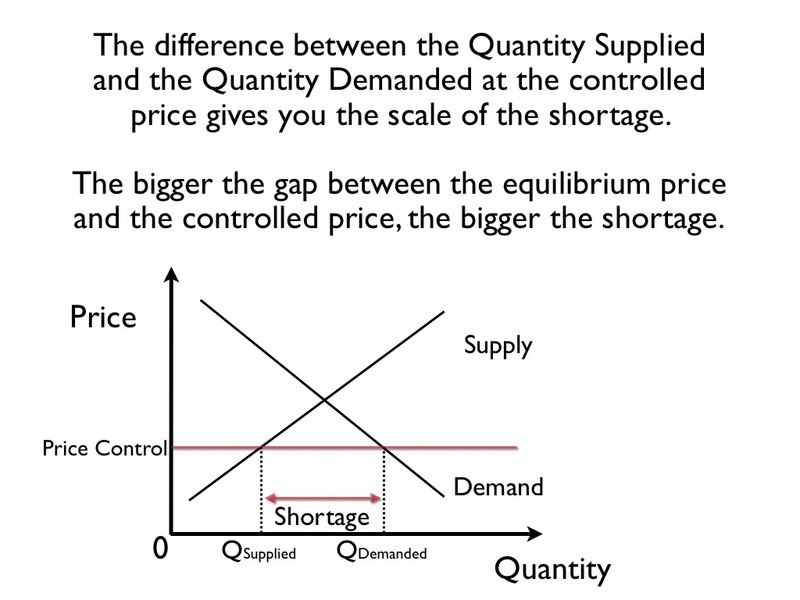 There’s a reason why shortage management – whether through interminable lines or ration books – is a mainstay of controlled economies: the dynamics of supply and demand operate regardless of the ideological label you affix to the regime that flouts them. Even the Soviet Union – a fully state-controlled economy backed by the threat of deportation to the gulags – failed to bully sellers into supplying enough to meet demand at controlled prices. It’s not surprising – slapping the word “socialist” on a country doesn’t magically make its people want to pay more for the things they buy. For chavismo, though, such talk is just a defense of capitalist deviations like “individualism” and “greed” – moral failings the revolution means to stamp out. And so we get Utopian plans to forge a socialist “new man,” which is just a fancy term for a sucker willing to plump for a pay-2-get-1 sale. A mythical being who enjoys his poverty and actively seeks to deepen it. It breaks my heart to see such economic obscurantism empowered in Venezuela. Like the proverbial slow-motion train wreck, it’s too easy to foresee where this is all heading. And it’s just plain chilling that our country is run by people who refuse, as a matter of principle, to grasp it. Previous articleLose money or lose your business!